Hello Kitty Loves Animals BLOTz™ is a collection of 11 colorful Hello Kitty MIMOBOT USB flash drives presented in a blind box assortment. Each mystery box contains one surprise MIMOBOT flash drive featuring Hello Kitty dressed up as one of her favorite animals including Panda, Raccoon, Seal, Tiger, Bear, Fox, Penguin, Leopard, and more. Two of the drives, the endangered Giant Panda and White Tiger MIMOBOT designs, are extra rare and serve as chase variants. 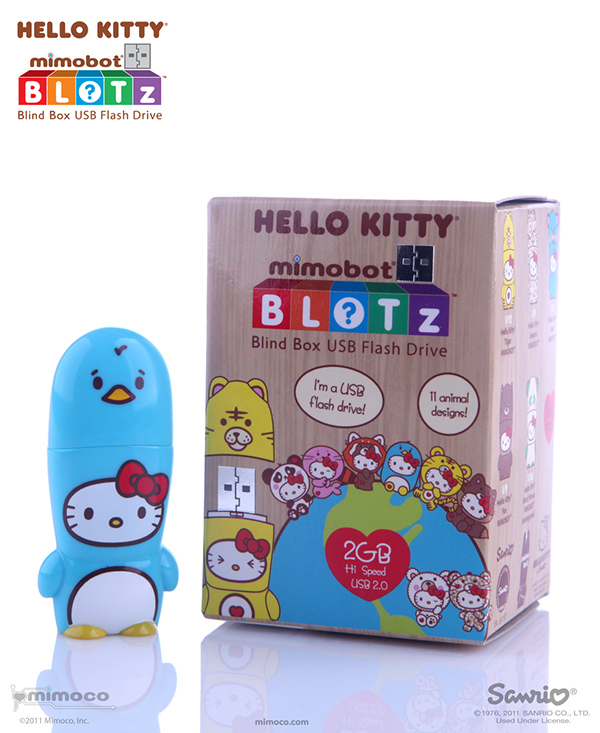 Hello Kitty Loves Animals BLOTz, blind box toy....MIMOBOT style!